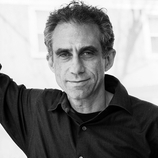 Marc Aronson is living proof of the magic of the world of writing books for young readers. He did not expect this to be his career—he went to New York University, where he earned a doctorate in American history, and worked in adult reference publishing. But when he saw an advertisement for an editor of a series of books about the lands and peoples of the world (The Portraits of the Nations series, originally published by Lippencott)—books he had grown up reading and loving—he applied for and won the job. Working on books for young people—and then meeting other authors and artists, reviewers, librarians, teachers—he found he was in a world he loved. Editing books about different nations, peoples, and cultures, he came to realize he wanted to publish fiction and poetry, as well as nonfiction for young people. He created Edge—a place for books that explored all of the borders and boundaries in growing up, from immigration to coming-of-age. He then began to write his own books. Marc’s older son once asked him why his first book, Art Attack, was so different from the others. It is the one book he has written about art; all the others in some way relate to history or current events. In a way he experienced in nonfiction what many novelists go through: his first book was the most autobiographical. Marc grew up learning about radical art, avant-garde art, from his father, who was a painter and innovative scenic designer. The book was a form of passing on what he had learned. While all of his books are nonfiction, they all also have a personal dimension—a way that person, subject, idea, spoke to him. Marc grew up in a school where many families had suffered from the Red Scare, a school devoted to racial integration when that was the law, but often not the practice. Master of Deceit is, in a way, Marc visiting his own childhood and looking at the conflicts he grew up hearing about with his trained adult eyes. Marc now wears many hats, he is part of the graduate faculty in the School of Communication and Information at Rutgers University, where he trains librarians and teachers in using books with K–12 readers. He gives talks in schools to students, trains teachers and librarians—especially on the new Common Core standards, and he is exploring how nonfiction can flourish in the world of e-books and apps. For example, for Master of Deceit, he has found a film, You Can’t Get Away With It, that was crafted for J. Edgar Hoover and fits perfectly with chapter 7 (you can see the original poster for it on page 62). You can see the entire film for free by going to his website, www.marcaronson.com, where he also has a discussion guide for the book and other resources.